Every motorsports sanctioning body has rules and regulations that stipulate what you can and can’t do with your car, truck, bike, etc. if you want to enter it at their events. Every sanctioning body has rules governing ignition systems. RacingJunk is going compare two HEI distributors and two CD Ignitions that most sanctioning bodies allow. 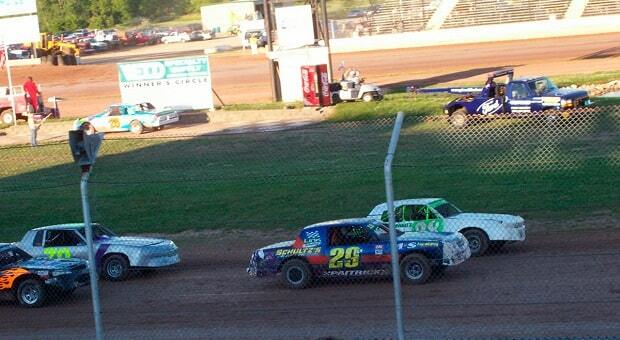 Slick Dirt Track Calumet County Speedway Late Models. 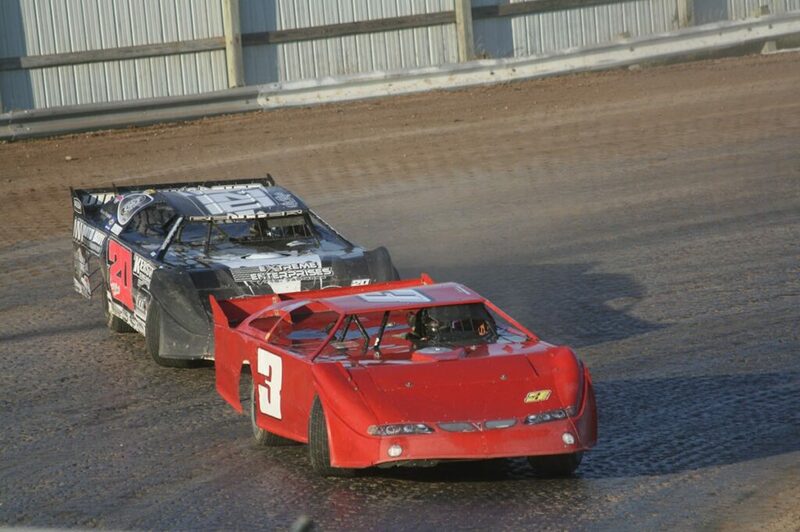 To begin, determine what the sanctioning body under which you will be racing permits and what it mandates. Does yours still require HEI systems? Or are you required to install a CD box with an external coil? Can you install a backup ignition system in case the primary dies during the race? Go to the body’s website (for example, here are links to the USAC rules page and the WoO rules page), download the rule book and study it carefully. 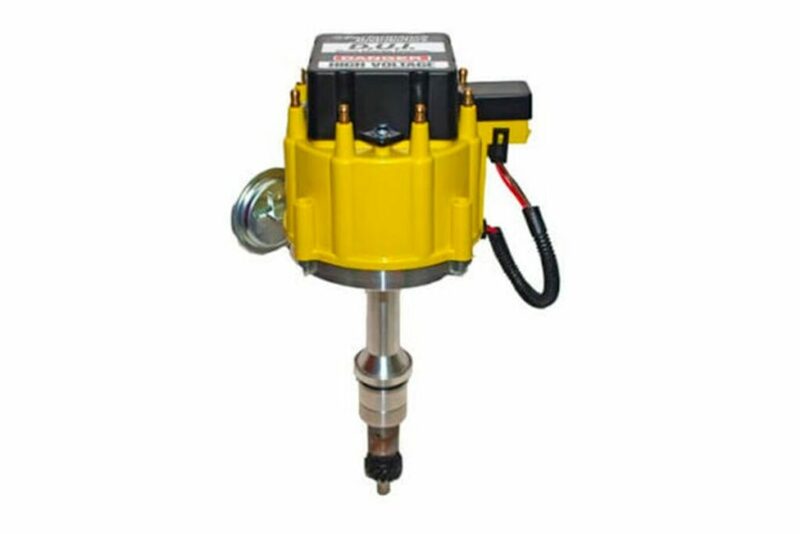 If you don’t know what will fly and what won’t, you can’t make informed and logical decisions when assembling your dirt racer’s ignition system. If you are allowed or required to run a distributor, get the best the rules allow. You want a performance unit with strengthened cam and oil pump drive gear. Under the loads experienced in most forms of racing, stock distributors can fail, often shearing the cam gear or the oil pump drive. Distributors are broken down into two main types: HEI and external coil. 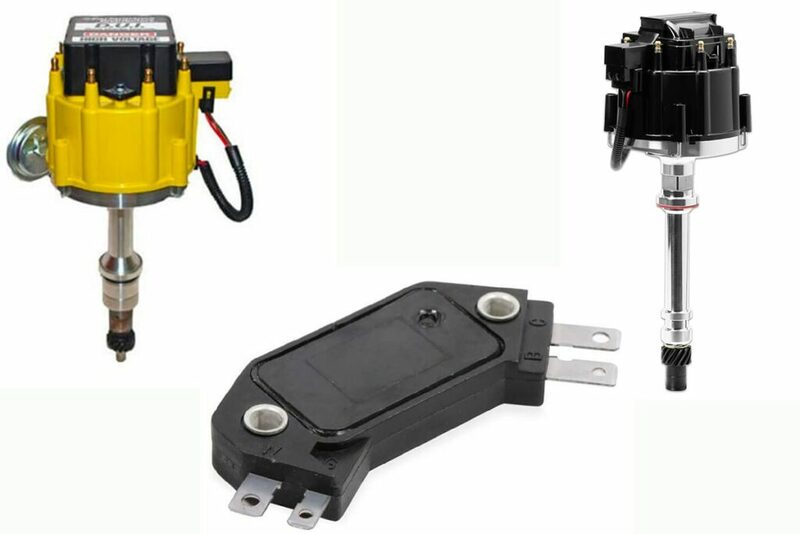 External coil distributors are further broken down into (single or dual breaker) points type and (single or dual pickup) electronic ignition distributors. Pay close attention to the rulebook specific to the body and class in which you wish to compete, as some don’t give more than one or two combinations you can use. 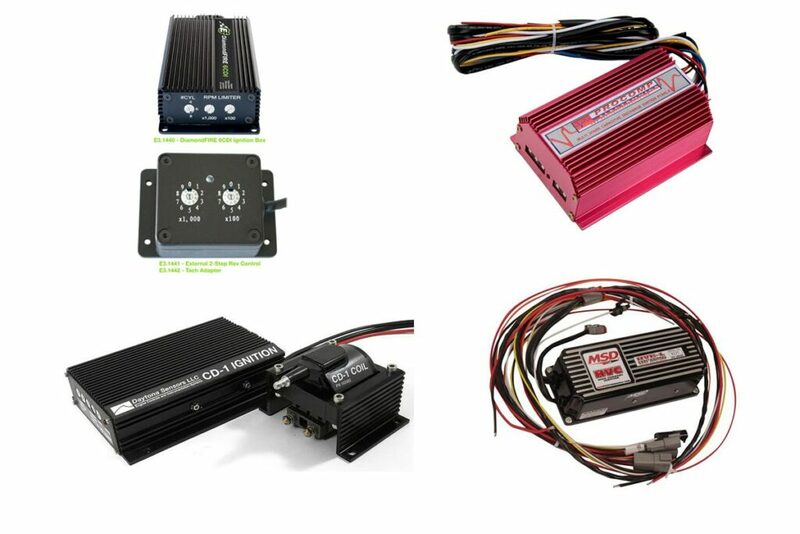 The Performance Distributors Ford Racing DUI HEI Distributor. 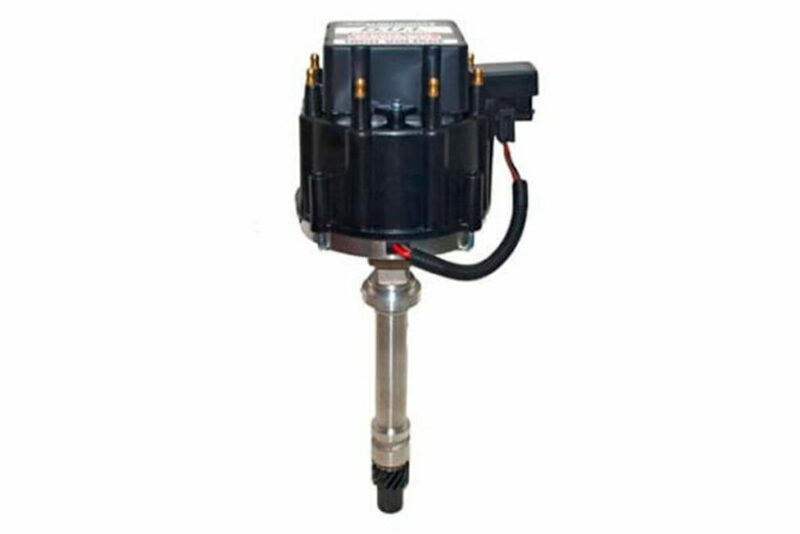 HEI ignitions have the coil integrated with the distributor cap, while the coil is a separate component with external coil distributors. HEI puts the coil right on top of the rotor, which minimizes power loss. However, the spark from inductive coils can break down under high loads and engine speeds. This is true with both HEI and external coils, although most manufacturers have developed performance coils that operate at higher speeds before breaking down. Until fairly recently, HEI distributors were only made for Chevy/GM engines; however, Performance Distributors has models for several six cylinder (inline and V6) and V8 engines. Capacitive discharge ignition boxes, when used with coils specifically designed for CD where allowed (mostly Unlimited classes), are considered by many to be the best way to combat ignition coil break down at higher engine speeds for two reasons. First, capacitors have faster charge times than inductors so they don’t break down as quickly at high RPM. Additionally, CD boxes get their power directly from the battery, not through the ignition system which maximizes the current and voltage getting to the coil (points and ignition modules can’t handle much more than ten volts). This means the capacitor gets the battery’s full 12 Volts (actually it should be at least 13.2, but I digress). 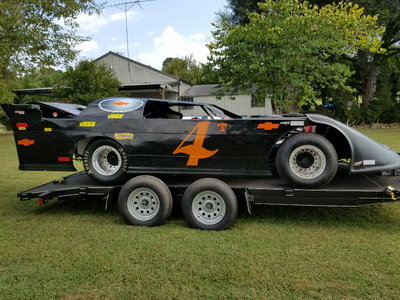 More charging voltage and current from the CD box means the CD Ignition coil can deliver a much larger spark at the higher engine speeds in most dirt racing. 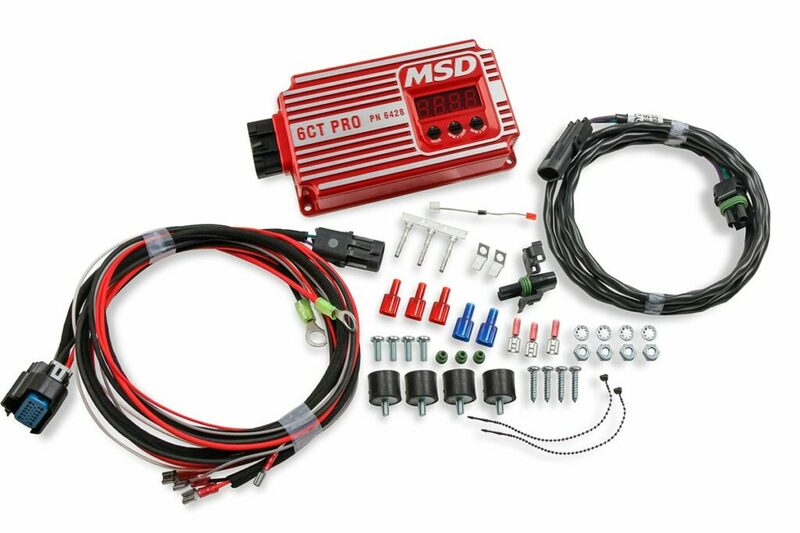 The MSD 6428 6CT Pro Circle Track Ignition. The MSD 6CT Pro Circle Track Ignition is a good option for those just getting into racing where a CD ignition is allowed, although MSD clearly states it can’t be used in series where officials require a high RPM recall reading. The 6428 has LEDs for use when setting and checking the rev limiter. It also records the highest engine RPM for the last 20 minutes of run time, with the memory being resettable with a momentary switch. MSD also advertises full spark voltage down to six volts. 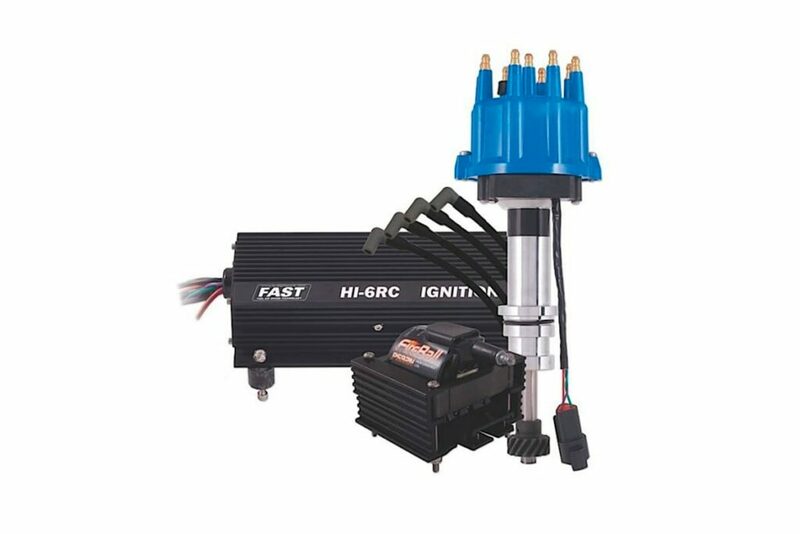 The FAST HI-6RC Oval Track Digital Multi-Spark/CD Ignition Kit for Small Block Ford Applications. Mixing parts from various manufacturers is something to be avoided whenever you can (most of the time). If you’re going to install a whole new ignition system or upgrade an existing one, be sure that everything you end up with when you’re done buying is compatible with each other part and complies with the rules under which you’ll be racing. 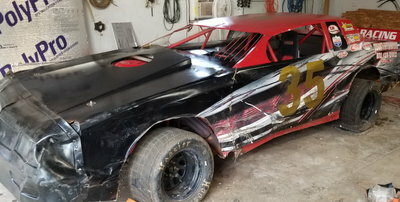 The manufacturers mentioned above offer complete dirt racing-legal HEI and CD ignition kits to ensure that everything works together properly. This also makes it easier if you have to call tech support. Left: Performance Distributor’s Chevrolet Racing DUI Distributor. Right: MSD’s 8362CT Pro Circle track HEI distributor. 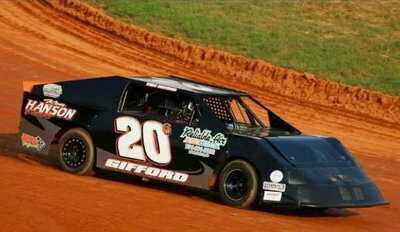 An HEI distributor with an electronic ignition module is still the most popular ignition type found across most dirt racing governing bodies, although very few production vehicles still have them. MSD and Mallory are the reigning favorites of the majority of racers. Performance Distributors being the new kid on the block, and thus there’s not as much data and experience for and with them. 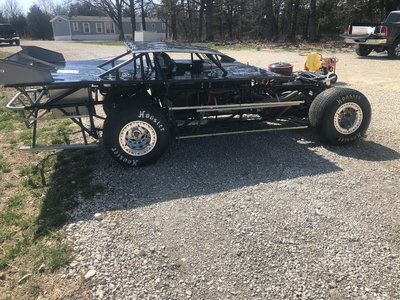 Let’s take a look at two race-specific HEI distributors from MSD and Performance Distributors for dirt track/circle track classes requiring a stock-appearing HEI distributor. MSD’s Pro Circle track HEI distributor. The MSD Circle Track HEI distributor PN 8362CT was designed from the start as a race-winning distributor for circle track racing classes that require a “stock appearing” HEI distributor. MSD engineers say its ignition module is “bulletproof.” Chromoly and steel were QPQ coated in the advance cam and weights as well as the cam gear for added strength. TIG welding is used throughout for added strength and durability to withstand the rigors of circle track racing. 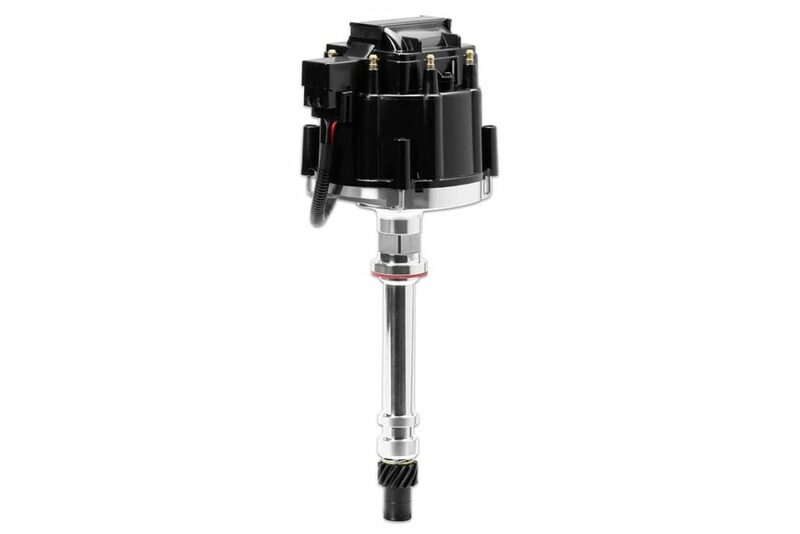 Performance Distributor’s Chevrolet Racing DUI distributor in black. Various colors are available. 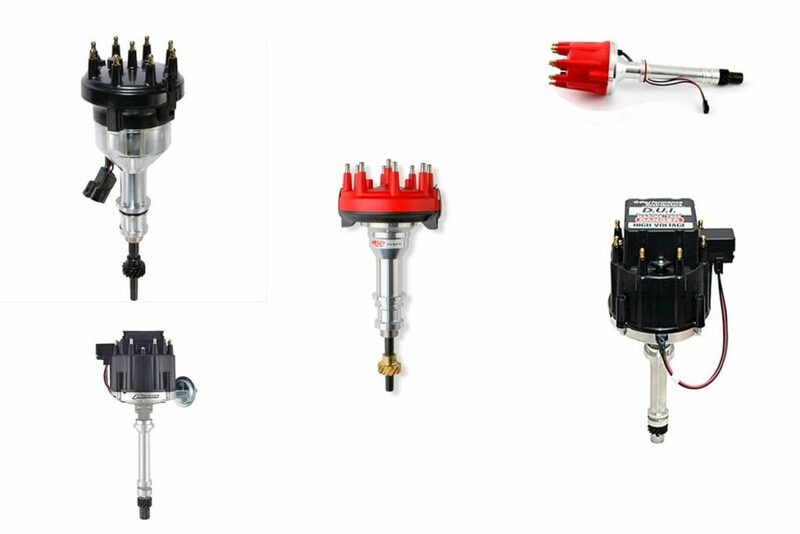 The Chevrolet Racing DUI Distributors from Performance Distributors are also designed specifically for racing applications where a stock-appearing HEI distributor is required. Short and tall versions are available as well as multiple cap colors. The company claims that their current draw of two to three amps is the lowest in the industry. They also say their high dwell module, high voltage coil and hand assembly of all moving parts coupled with each distributor being tuned on a Sun Distributor Machine ensure they are capable of operating up to 10,000 RPM, almost double stock units. 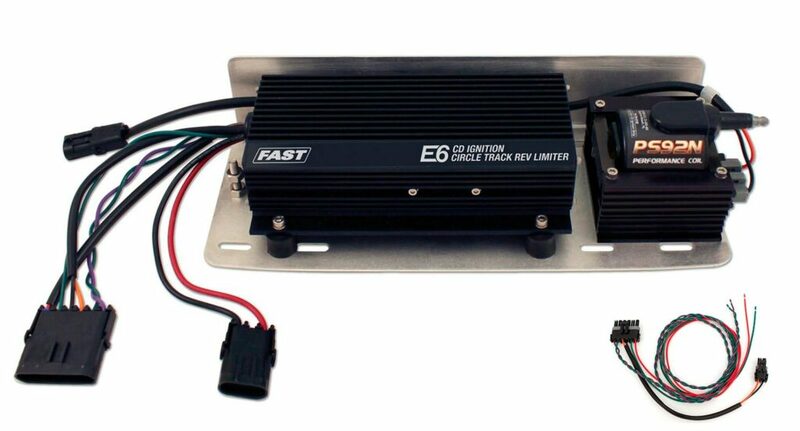 The FAST® E6 CDE Circle Track Ignition with E93 Coil and Mounting Tray. It’s also got a built-in start/retard that backs the timing off to ease cranking and start-up, and the required rev limiter features twin dials that are adjustable in 1000/100 RPM stops up to 9900. Online reviewers have all attested to the rev limiter’s accuracy. FAST also has an option that includes a matched circle track distributor to make installation as straightforward as possible.